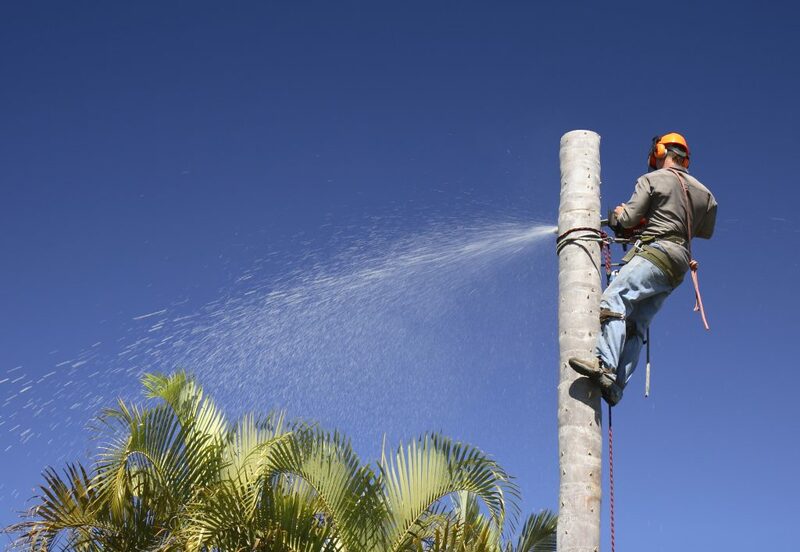 Tree Surgeon Las Vegas- Why do you need one? Home » Tree Surgeon Las Vegas- Why do you need one? The truth is a tree surgeon Las Vegas service does more than cutting trees. The tree doctor’s responsibilities vary from carrying out hazard assessments to inspections. The part of the jobs important and determines how long a job will take. Furthermore, when working in public sites they decide how it will influence the public. For private services, they discuss with you what needs to be done and what you require and give you an estimate. However, this is not all a tree surgeon does. What other services does a Tree Surgeon offer? Here at Las Vegas Tree Removal Pros, our tree surgeons do more than just evaluations. Our crew checks for dead or weak branches. Further, they look at the overall health of the tree and if it has any risk for you and the family. They determine which branches are best to remove and done by climbing the tree with a harness to complete the process. A tree doctor must be fit they need to climb tall trees on a regular basis and take a lot of physical demand. By doing this they help to make the tree healthier and save it from collapsing. The job is dangerous as the crew needs to work with chainsaws and suspended high from the ground and needs proper safety precautions in place. If they find a tree is a threat to public safety or it is dead, they will cut down the entire thing. This is a dangerous job and involves different people to make sure everyone is safe. The workers on the ground help support the climber and scour the grounds to help dispose of debris with wood shredders. The tree doctor can take care of chopping, felling, pruning, planting and maintaining your trees. We take care when planting trees and ensure the works done correctly and the trees cared to thrive. They also help to improve the tree’s resistance and apply pesticides with all the correct preparation to ensure your safety. Do you have problematic stumps or unruly hedges? They can take care of all these requirements with ease. With the special equipment, they grind away stumps to remove them. To help improve the look of your landscaping they trim hedges to maintain them. Trees take long to grow, so if you do not prune it properly it will take long to recover. Therefore, if you need the best tree surgeon in Las Vegas, we are here to help. We offer you a wide range of tree surgery services. You can feel assured that our teams qualified to help with any tree work you request. Whether it is trimming a small hedge or pruning, a large tree let the experts take care of it. So do not hesitate to get in touch with us today.